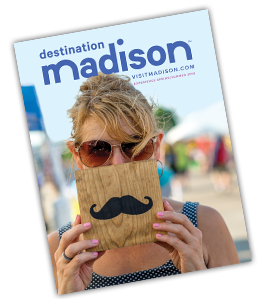 Join BRAVA Magazine at the Madison Concourse Hotel Friday, May 10 from 8am – 4pm for its fourth annual THRIVE Conference. Learn, connect and grow with speakers, coaches, educators and like-minded women seeking to thrive in their personal lives and careers. Keynote speaker and humorist, Dina Nina Martinez will kick off the day with a talk about work/life balance entitled The Power of Funny Women! Attendees can choose from four topic tracks to plan their day – Empower, Enrich, Educate, Entrepurner – attending workshops to inspire, nurture and cultivate personal potential and THRIVE in all aspects of life. Title sponsor Summit Credit Union’s business services team will offer coaching sessions to answer business money questions on how to be more comfortable with money and gain financial confidence. Attendees will have the opportunity for a professional headshot session, to network with participating women and to explore a wide array of exhibitors.